Since the holiday season is now upon us, it’s time for more eating folks!! This meal happened approximately two weeks ago after a nice long day spent in the kitchen, much like the day I spent on Friday with my papa for our own Thanksgiving meal! It had been wayyy too long since I saw my dear friend Stephanie so her and I figured out a night to meet up and luckily for us (actually them) our boys were also free that night so I insisted I would make a dinner party! So off I went into cookbook land and landed upon two Barefoot recipes and for the appetizer options I wanted to stay somewhat French so I came upon two recipes from David Lebowitz! 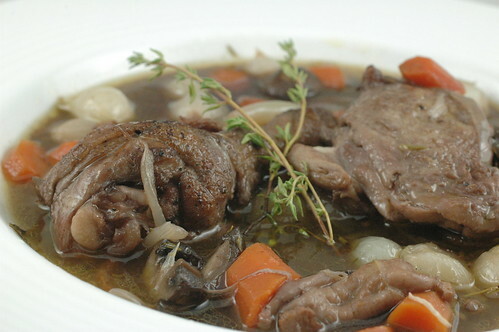 This picture is of my coq au vin. It was pretty good that night but it got 100x more heavenly over the next couple of days. God I love one pot meals that make tonnnns of leftovers! 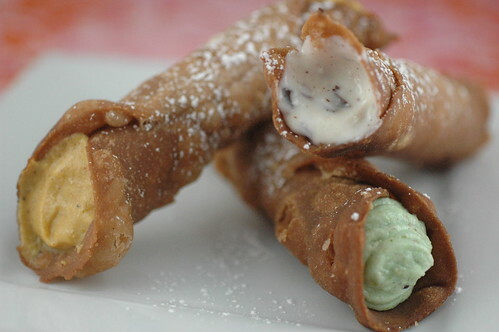 November Daring Baker’s Challenge: Cannolis!! The November 2009 Daring Bakers Challenge was chosen and hosted by Lisa Michele of Parsley, Sage, Desserts and Line Drives. She chose the Italian Pastry, Cannolo (Cannoli is plural), using the cookbooks Lidia’s Italian-American Kitchen by Lidia Matticchio Bastianich and The Sopranos Family Cookbook by Allen Rucker; recipes by Michelle Scicolone, as ingredient/direction guides. She added her own modifications/changes, so the recipe is not 100% verbatim from either book. Lisa Michele is one of my very favorite fellow Daring Baker’s so I am so excited to do her challenge!! I chose to make three different fillings and use a semi chocolatey shell dough! I was only planning on making a plain vanilla filling with chocolate chips, but then Ned urged me to make one with the pistachios that we had in the pantry and when I heard that the pumpkin filling recipe used marscapone (which I had leftover from another pumpkin creation) I called Laurita immediately when she was getting our turkey from Trader Joe’s and she got me a can of pumpkin to complete that filling! From what I hear about the pumpkin shortage, boy am I glad to be able to get that can! These three fillings were lovely and are so delicious each in their own way. Fantastic choice for a challenge LM, fantastic! I have alot to be thankful for this year, the fact that I am now fully able to walk on my left knee, the fact that all of my family and friends are healthy, the fact that I have Neddy back in my life and in a good way, and one special thing is that I have these wonderful friends that I met through cookbook club. These ladies keep me grounded, they keep me honest, they keep me laughing, they help to improve my skills in the kitchen, they push me to do the extra mile and they keep me well fed! Here’s to gratitude for that! 😀 Happy Turkey Day everyone! So even though this get together was two weeks ago, here it is now in all of its beautiful and Daniel Boulud glory! Go to our blog and check it out! Angel Food Cake from the Dessert Fairy! Ah- ha! DESSERT!! It has been so long since I made you….and since I brought you into work so I could be the dessert fairy! Well I was in the kitchen the night before cookbook club making a very tasty ice cream recipe that required 10 egg yolks (yowsa…) and as I split them up I realized I should dump the whites into a bowl instead of the drain… and so the ten egg whites sat and so I started thinking… 10 egg whites… what to make that could be enjoyed easily at work? Meringues? too bland…Macarons? 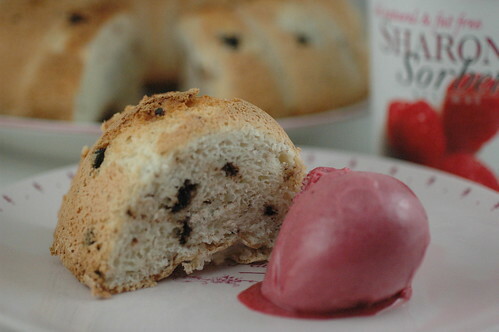 too hard to start at this late hour… Angel Food Cake! yes…. So off I went to crack Barefoot at Home and opened up to my trusty angel food cake recipe. I had made this cake two years ago for a New Year’s celebration! Not as good as this New Year’s celebration though! And so this recipe worked pretty well and the addition of chocolate bits to the cake batter is always a good idea! I didn’t do her chocolate glaze as my kitchen was already a big ol mess and I was done with making any more messes! So here we go back to cooking! Well this is simple cooking, but it sure was delicious! During the next weekend, when we were actually home, I was laying in bed on Sunday morning and trying to figure out what to make for dinner that night. I came up with grilled cheese sandwiches; made with good sharp cheddar, good thick bacon, green apple slices all on some nice crusty sourdough bread! 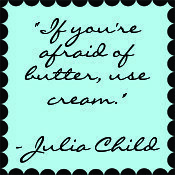 I think its all the health food that I’ve been eating helped me come up with this! We got all of the ingredients from Wegman’s and paired it with some tomato soup from Campbell’s. Ned scoffed at my idea to use the canned stuff (since the real deal is pretty easy to make and probably better for us…) but we had like 3 cans in the pantry so that is what we went with! 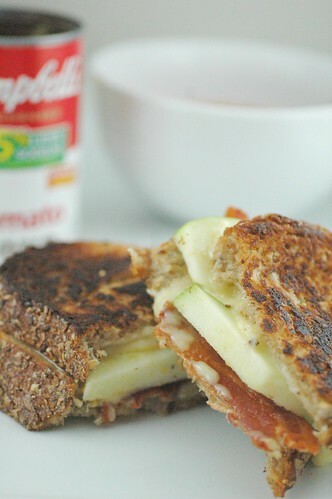 Now you can’t see the cheese too well in this shot, but you can see those crispy apple slices and some also crispy bacon! So we chowed down on these that night and even had some leftovers to make the whole meal again on Monday! And you know the cutest thing that resulted from this amazing and genius culinary creativity? Ned sent me a text message the next morning that said this: ‘You know, I think I really love you.’ And I wrote him back asking what made him think to write me that and he wrote back saying this: ‘Just working on my paper and thinking about another awesome grilled cheese tonight.’ And I took that to mean, gosh I really love you because you can make a damn good grilled cheese! Well he tells me he just really loves me, but I know the way to that boys heart…. 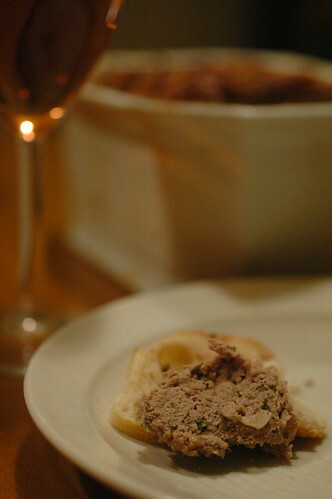 😀 that and salmon rilletes (coming to the blog in a week!). Now I swear this is the last restaurant post in a while! I have actually been cooking at home, promise!! 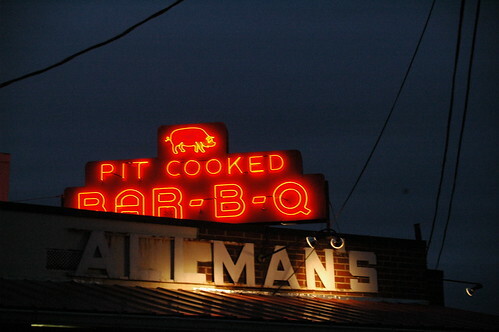 Well on the way back from SC, Ned and I wanted to continue our search for good barbeque through NC and VA. I found this place in Lumberton, NC and we stopped to get lunch and I wasn’t too impressed although Ned thought it was definitely alright to chow down on… Around 5:00 when I was driving through Richmond and Ned was asleep, I concocted the idea that I could get a strawberry milkshake at Carl’s in Fredericksburg for dinner! (delirious driving I tell you…) After Ned woke up I realized I would have to feed him also! So I remembered back to my college days and that there is a barbeque place literally walking distance from MWC! Well we stopped there for dinner and I was so happy with the service and food that we got. We got to sit at the counter and chat with a newbie freshman music major at Mary Wash while we ate. And the cook came out mid-meal to see how our barbeque was! Not as good as Scott’s but definitely a keeper for our trip. 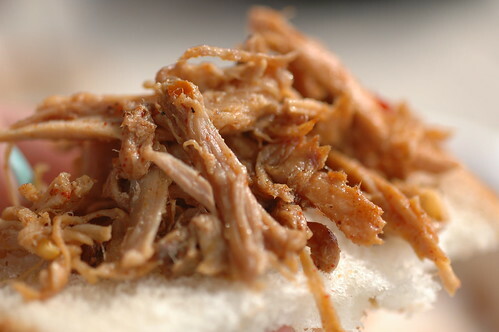 The ‘Slaw on Sand’ is the key for a great bar b-q sandwich here! Follow the link and go check it out! And the restaurant tour of the South continues!!! So while we were at Kelly’s wedding, we mentioned to her cousin that we were looking (well NED was…) for an awesome oyster bar. 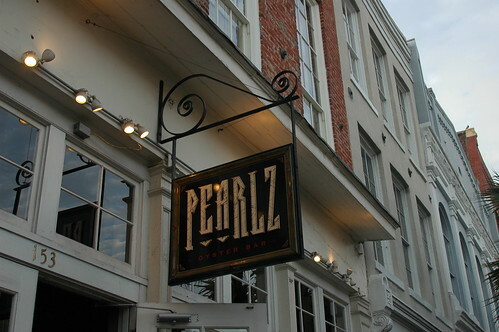 She recommended Pearlz and so we decided to have dinner there and my good friend P met us there too! 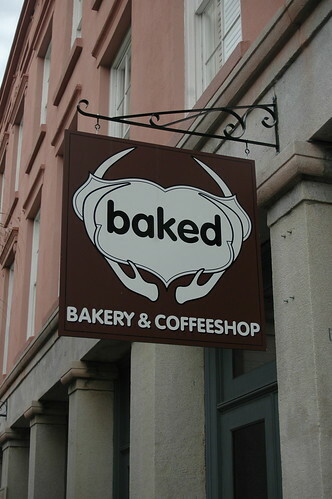 Well conveniently for us, the restaurant was right across the street from Baked! So after taking a nice walking tour of rainbow row and church st from the point, we stopped back in to Baked for a sec and then right back out to Pearlz! Amazingly they brew their own beer, so we got some of those and got lots of delicious seafood! Check it out! This stop resulted in my favorite hour that we spent in Charleston that Sunday, well maybe this and the 20 minutes we spent in a graveyard actually watching a real life ghost that caused my blood pressure to soar (boy do I sound like an old lady…)!! We went on a tour sponsored by these folks and boy did we get our money’s worth… and in addition to getting our money’s worth getting scared sh*tless, the confections and coffee we enjoyed at Baked reigned supreme and I would gladly spend 10 dollars here every day for the rest of my life! The owners were actually hanging out in their store that day. I spoke to the guy behind the counter on our second round of ordering espresso and he said they were here shooting for their next cookbook during the day! I know what’s on my christmas list!! The decor was so manly but very chic all at the same time and the brownie with ice cream I ordered was just to die for. Check it out! 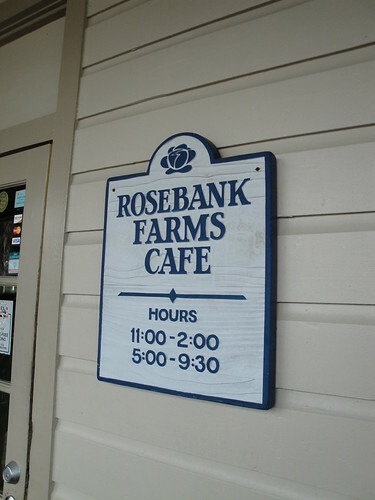 After the girls got their nails done in preparation for the wedding we headed down the marina “strip mall” and stopped at Rosebanks Farms Cafe! The owner had stopped in to the salon in the morning to say hi to the salon owner and she made sure to say ‘hey- we can bring lunch down here if you like!’ That was a very nice offer, but after our nails got beautified we decided to take our men and go get some awesome fried southern cuisine. This was by far the most fun adventure to get a morsel of food! As we were planning our drive down to SC, Ned remembered a barbeque place (Scotts BBQ to be exact..) that he had read about in the New York Times in the summer. So we looked up the location and voila! It was relatively close to being on our way, and this is me counting one hour driving slightly east away from I-95 South and probably an extra hour going through the Marion forest to get back to Charlestown! Well we picked up 2.5 pounds of this glorious meat and it was all devoured by midnight of that night.